With a permit management system in place, you can be sure that your car park is only being used by authorised vehicles. 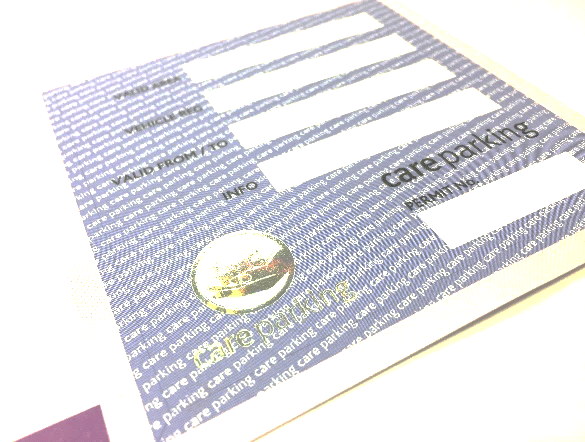 Care Parking’s permit management system is already being successfully implemented at a number of Shopping Centres, Retail Parks, Industrial Estates and Residential Developments throughout the UK. The system was designed to manage staff parking at large retail establishments but following its success, we have developed the system and now implement it at over 60 locations across the UK. Our back office system currently contains the details of over 5000 vehicles permitted to park at our sites, each one of these vehicles is indexed by location and all owner details are stored securely with keeper information. Once a permit is issued, the details of that vehicle are accessible on each PSO’s device. All permits are issued with Care Parking hologram logos to prevent forgery. We have a number of different options with regard to visitor parking from bay specific visitors permits to single use scratch card permits, all visitor permits will be issued to meet each individual client’s requirements. Security printed, self-adhesive parking permits to prevent alterations. Permit holder vehicle information is available on our mobile operative’s device. Live Updates so our operative has up to the minute vehicle information. The flexibility to allow for temporary replacement vehicles. A range of visitor permit options. Notification of vehicles no longer authorised to park. Same day production of new permits. We firmly believe that responsibility for the administration of permits should belong to the parking operator if the management scheme is to succeed as a permit system which is not tightly controlled, will quickly become abused, particularly on retail sites where parking spaces are limited. After the initial issue of permits, replacements can be issued via our dedicated permit management email address. As soon as we receive the new vehicle details and they are entered on to the system even if the permit is not displayed when the vehicle registration is entered, it will tell our operative that the vehicle holds a valid permit, so therefore prevents a ticket being issued.